Convexal subarachnoid hemorrhage (c-SAH) is an infrequent condition with variable causes. c-SAH concomitant to acute ischemic stroke (AIS) is even less frequent, and the relationship between the two conditions remains unclear. Between January 2016 and January 2018, we treated four patients who were referred to our stroke unit with ischemic stroke and concomitant nontraumatic c-SAH. The patients underwent an extensive diagnostic workup, including digital subtraction angiography (DSA). All four patients developed acute focal neurological symptoms with restricted MRI diffusion in congruent areas. In three of the patients, infarcts were in a border zone between the main cerebral arteries and c-SAH was nearby. The fourth patient showed a small cortical infarct, and c-SAH was in a border zone territory of the contralateral hemisphere. An embolic source was discovered or strongly suspected in all cases. One patient was treated with intravenous thrombolysis, but this treatment was not related to c-SAH. None of the four patients showed microbleeds or further cortical siderosis, thus excluding cerebral amyloid angiopathy. In addition, DSA did not show signs of vasculitis, reversible cerebral vasoconstriction syndrome, or intracranial arterial dissection. We proposed the embolism or hemodynamic changes of the border zone arterioles as a unifying pathogenetic hypothesis of coexisting c-SAH and AIS. The authors are grateful to all patients included in this study. The image of vascular territories was courtesy of Prof. Frank Gaillard. We would like to thank Maria Tappatà, MD, for her help and availability. 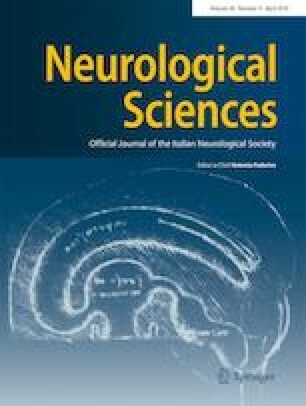 AI, DMM, and MP contributed the conception and design of the study; FD, LC and SZ performed the neuroimages acquisitions and their interpretation; AI wrote the first draft of the manuscript with the equal contribution of DMM and MP and the support of MS.
ILS revised the manuscript for content, including medical writing for content, study concept or design, analysis or interpretation of data, study supervision and coordination. All of the authors provided final approval of the version to be published and agree to be accountable for all aspects of the work. This study was approved by the local ethics committee. All patients gave written informed consent.